With limited time and attention to spend optimizing their operations, operators are looking for easily implemented changes at their fry stations that will help them to drive efficiencies. Magnesol, a safe, pure white compound that removes both solid and dissolved impurities from used oil to provide extended oil life and improve fried food quality, is one such solution. With a 33-year history in domestic and global chain operations, Magnesol is currently used by approximately 75 percent of the Top 100 U.S.-based QSR chains. These leading quick-serve chains utilize Magnesol not only because of its inherent operational advantages, but also because of the beneficial partnership with The Dallas Group of America, which manufactures the filter aids. Why should you join these chains in choosing Magnesol to enhance their frying operations? We’ve got seven reasons. Reason #1: Magnesol is the best adsorbent medium on the market. All filter aids are not created equal. Unlike ordinary filter powders, Magnesol particles act like a magnet to attract and remove both the insoluble particles and dissolved impurities that can be detrimental to fried food quality. This unique attribute slows the rate of oil degradation — meaning oil can be used by an operation longer without compromising quality. Reason #2: Magnesol is backed by an industry-leading manufacturer. The Dallas Group brings more than 60 years of industry experience, a team of more than 300 knowledgeable professionals and a commitment to produce high-quality products that provide optimum value to customers. In order to fulfill this promise, the company conducts regular frying oil quality surveys and analysis in its state-of-the-art full-service laboratory, staffed by AOCS-certified chemists and oil experts. The Dallas Group controls the entire manufacturing process of its products and is keenly focused on food safety and regulatory compliance. Magnesol meets all food grade specifications of the FDA, NSF, JECFA and WHO, in addition to being Kosher and Halal-certified. 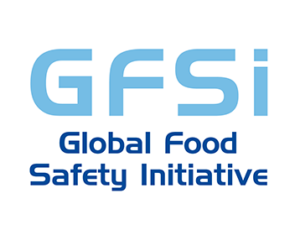 Committed to continuous improvement, The Dallas Group also recently announced that it would be certifying its manufacturing facilities to the GFSI-accredited Safe Quality Foods standard, expected to be completed by the end of 2019. Reason #3: Magnesol products are supported by a value-added global support team. Looking to establish an oil management process or determine ways to improve your existing one? Using Magnesol gives you access to The Dallas Group’s local field staff who are ready to bring their expertise to your operation. Whether through in-store oil management training and education sessions for new users or an operational review and recommendations for restaurants already using Magnesol, these complimentary consultations demonstrate The Dallas Group’s commitment to being a true partner to its customers. Reason #4: Magnesol is easy-to-use, encouraging consistent filtering practices. When things get busy, kitchen staff may be tempted to cut corners on oil filtration — which can hurt quality and consistency in the long run. Training employees on a daily filtering routine that includes Magnesol emphasizes this critical step in day-to-day oil management. Incorporating Magnesol into your existing filtration practices adds just about one minute to the process, once a day, but will positively impact operations all day. Reason #5: Magnesol filter pads offer additional conveniences for operators. Making an easy process even easier, Magnesol filter pads eliminate the need for adding powder to filter paper. Made of compressed cellulose, these pads contain the correct amount of filtering powder and work with all types of oil. For operations using fryers with built-in filtration systems, the pad can remain in the filter pan throughout the day for auto-filtrations. Reason #6: Magnesol products improve the quality of fried food. Your food is a key part of your brand, and therefore, quality matters. Magnesol filtering products remove FFAs, TPMs, colors, flavors and odors through a chemical process that does not add anything to the oil. Not only does employing these filtering aids result in crisp, delicious fried food, but they create more consistent menu items with longer hold times as well. Reason #7: Magnesol is an economic and sustainable solution that contributes to bottom line savings. For each day filtering is skipped, an operation loses up to two days of oil life. In other words, filtering can double oil life — and Magnesol can double that oil’s life. Magnesol reduces frying oil purchases by up to 50 percent, directly benefiting operations’ bottom lines as frying oil consumption is one of the highest costs for QSRs. This increased oil life also means up to 50 percent less oil disposal — helping to minimize Environmental, Health and Safety risks and contributing to CO2 reduction, energy efficiency and land savings. Magnesol products elevate the frying programs of thousands of operations each day — operations who also benefit from The Dallas Group’s unparalleled expertise and service to its partners. To discuss how Magnesol can make a difference in your facility and support your operational goals, visit https://magnesol.com/contact and start the conversation or find your local distributor.